Chadwick cast stone fireplace with overmantel is a contemporary design fireplace. The picture frame with the diamond tile layout in the middle distinguish this contemporary surround w/ ouppermantel from others. A fairly flat design made from light weight GFRC great for remodeling when space and weight are a concern. 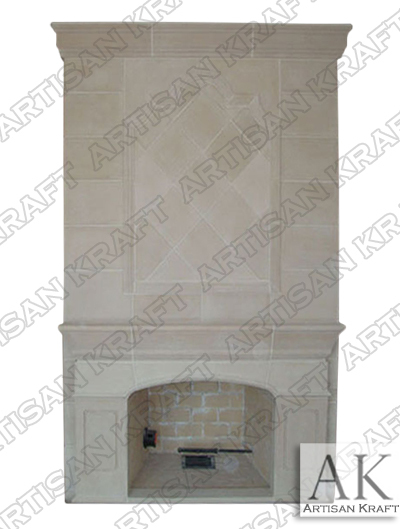 This mantel can be made from travertine, limestone, or sandstone. Another good example of a cladding style surround.